StatCounter Goes Global…! – Statcounter Blog. At StatCounter, it’s our mission to help webmasters, bloggers and other interested parties to grow and improve their websites, blogs and online businesses. To achieve this, we have been working on translating StatCounter. This means that many current members will soon be able to access StatCounter in their native languages AND we will also be able to reach many non-English speakers for the very first time! This is why we are delighted to announce that StatCounter is now available in Hungarian! The Hungarian translation of StatCounter acted as a “trial” for us and allowed us to set up all the systems required to translate the site into numerous other languages. Now… we need YOUR help. 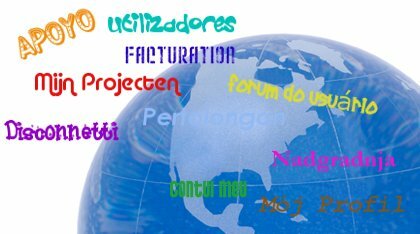 We are looking for volunteers to help us translate the site into other languages. Volunteer translators must be native speakers of a non-English language but also have strong English skills. This is entirely up to you, our members! Translations will be prioritized based on the demand for the different languages… so let us know your preferences! If you would like to volunteer to help with this project, then please accept our sincere thanks. We are so grateful to each and every one of you for considering this request and for your support for StatCounter. Join the StatCounter Translation Team! For administrative reasons, the number of translators per language will be capped. This may mean that we will be unable to accept everyone who volunteers to help with this project or, in certain circumstances, it may be necessary to suspend/close some Translator Accounts. Please accept our sincere apologies if we are unable to accept your offer of assistance at this time and we thank you in advance for your understanding in this regard. Please feel free to leave any questions, comments or feedback below. Thanks! You men are great. Statcounter is one of the most valuable free gifts on the internet. Thanks for the new language options. Enhorabuena, espero encontrarme pronto con la versión en castellano de sus magníficas estadísticas. Celebro estas buenas noticias. Mis saludos y agradecimiento. Whatever language we access Statcounter in, it will still be one of the very best services on the internet! Rock on! One of the 3 most useful sites in the world (I think, anyway). Very bright & proactive, I dig it! When will it be available in Martian, might be able to help with that? Good luck with that guys and gals! Will you try in greek??!! Congratulations!! à¤à¥âà¤¯à¤¾ à¤à¤ª à¤­à¤¾à¤°à¤¤à¥à¤¯ à¤­à¤¾à¤·à¤¾ à¤¯à¤¾à¤¨à¥ à¤¹à¤¿à¤¨à¥âà¤¦à¥ à¤à¥ à¤²à¤¿à¤ à¤­à¥ à¤à¥à¤ à¤à¤° à¤°à¤¹à¥ à¤¹à¥à¤ à¤¯à¤¾ à¤à¤ª à¤­à¥ google à¤à¤° yahoo à¤à¥ à¤¤à¤°à¤¹ à¤­à¤¾à¤°à¤¤à¥à¤¯ à¤­à¤¾à¤·à¤¾ à¤¯à¤¾à¤¨à¥ à¤¹à¤¿à¤¨à¥âà¤¦à¥ à¤¸à¥ à¤à¤¨à¥âà¤¨à¥ à¤à¤¾à¤ à¤°à¤¹à¥ à¤¹à¥à¤? Means are you interested in Indian Language HINDI or you are ignoring HINDI too, Like Google and Yahoo? It is also a good idea to make statcounter in native languages but make sure it is translated well!